As the headline makes clear, I’m bidding a fond farewell to Nintendo Life to go on a different path; I’ll hand over the editor’s hat on New Years’ Eve. I was asked to ‘announce’ this myself, making this the toughest article I’ve written to date. My new role will be as Product Manager for CIRCLE Entertainment / Flyhigh Works, a publishing duo that’s been doing amazing things in Japan and Asia and has enjoyed successes in the West over a number of years. Some of its notable Switch releases in the West this year have been games like Kamiko, VOEZ and Deemo, and I’ll be working on various upcoming titles for North America and PAL territories. It’s a big opportunity and, in reality, it had to be for me to leave a job as unique and fun as the editor role at Nintendo Life. I started on Nintendo Life as a voluntary ‘DSiWare reviewer’ way back in January 2011, so naturally my first review was Spot the Differences on WiiWare. Despite being a graduate in literature I’d always been extremely shy about sharing any of my writing, so to post a review of a game and get positive comments was a lovely moment for me; my love affair with the site grew from there. Within months I’d reviewed some big games like Ocarina of Time 3D and started writing editorials, and by that first Summer I was ‘features editor’. The goal was simple - to have regular articles that just embrace and chat about games and get us all talking and commenting. I had lots of support from the editor at the time James Newton and the Triforce of directors - Anthony, Damien and Darren. Enjoying a chuckle with former Nintendo Life video editor Rory Cocker, who has since gone onto bigger things at Nintendo of Europe. I was features editor while studying a pointless but intriguing postgraduate degree; I’d decided to do that after leaving a well-paid job because, ultimately, I followed my gut instinct in seeking a career and life that would truly suit me. During my two years of study I feared that my idealistic choice would backfire, but as I graduated the chance came up for a job with Nintendo Life. I would spend my days writing news, reviews and features about Nintendo - how can that be a job? The full time ‘Nintendo Life’ - which is a lifestyle, that’s for sure! - started for me in October 2013, becoming the editor in April 2014; it was life changing. 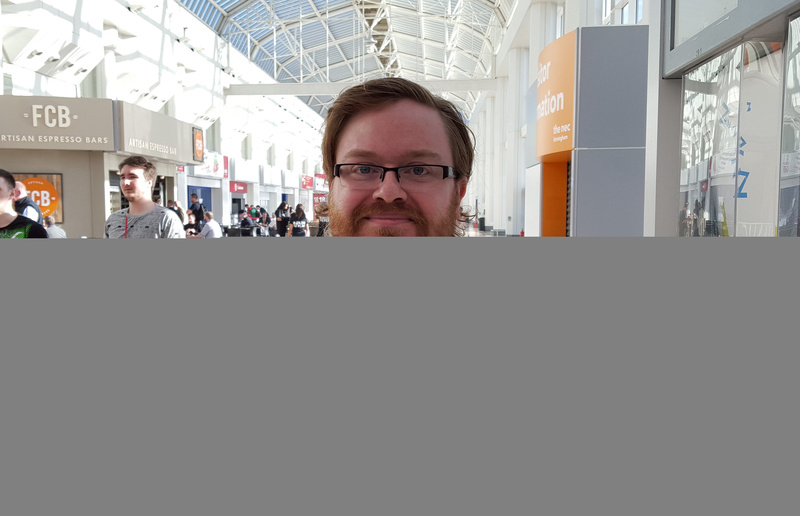 I moved to work out of an office in England and friendships grew, and then due to the wonders of 21st Century living I came back to Scotland in 2016 to work remotely and build a new life. I know how lucky I’ve been to have that flexibility. 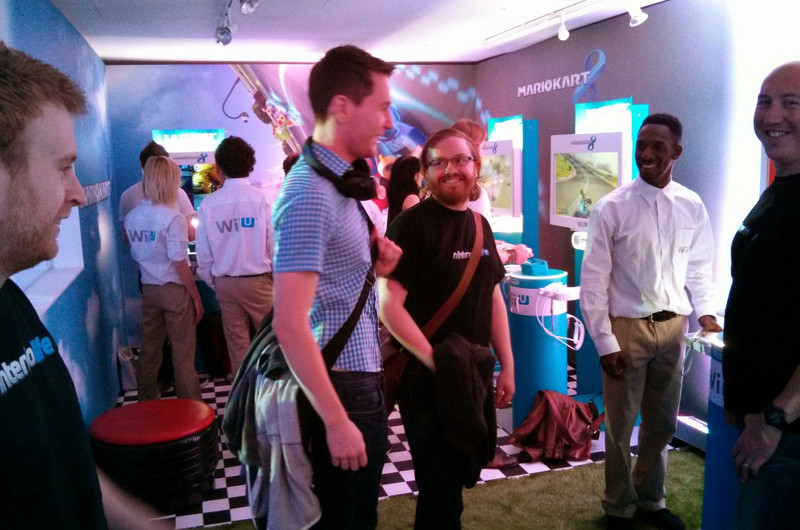 My job with Nintendo Life has been extraordinary for me, transforming my prospects and perspectives. I’ve travelled to London (a lot), Paris, Frankfurt, Hamburg and more for events, I’ve met developers with enviable talent and energy for life. I’ve met gamers and enthusiasts that share a glorious love for gaming. So many of my favourite moments are from talking with creators, particularly indies that produce their games through sheer passion and willpower. I’ve played hundreds of games, written about hundreds more, and loved it. 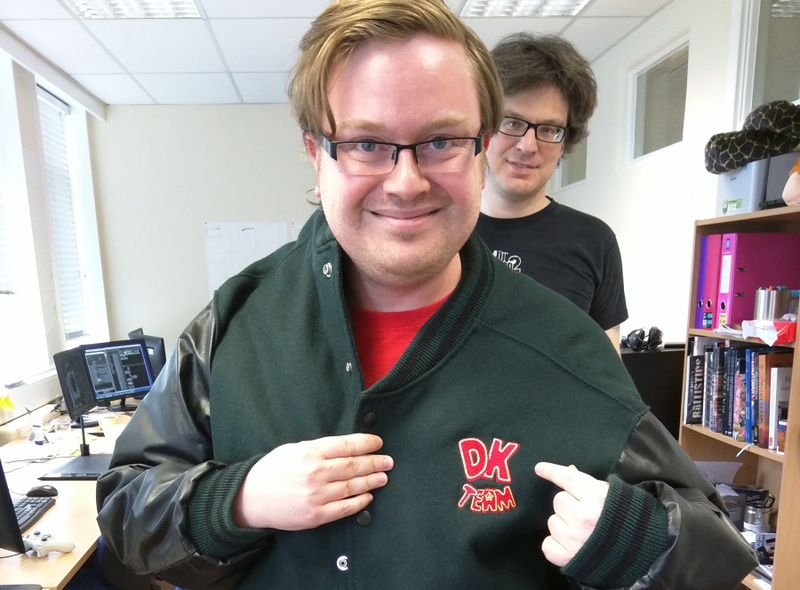 Visiting Playtonic Games to report on Yooka-Laylee meant putting on a piece of Rare history. I’ve also made a lot of friends. I want to thank everyone I’ve worked with in the Nintendo Life team, past and present, dozens of people that have written for the site during my time. Some of my favourite people that I’ve never actually met face-to-face are in that writing team, and their passion for the big N - their distinctive voices and styles - make the site what it is. I’ve had so many great moments with them. The site has grown and evolved so much, too. Its growth has been extraordinary, to the point that nowadays I cling onto its coat-tails. In some ways my departure is well timed, with that in mind - I’ve written nearly 10,500 articles over the years (news, reviews, features etc), and it rather feels like it! It’s a unique and fulfilling job, but it’s also all about long hours spent primarily online. The internet itself has evolved too - we’ve seen the site’s YouTube channel grow rapidly with Alex, the way people consume media and news is changing, and it’s hard to keep up day-to-day. A fresh editor leading the way (my successor will be announced tomorrow) will be good for the site. I’ve given as much as I can to Nintendo Life and have treasured it, but the time’s right for a fresh challenge. I want to finish with three important thank you messages. First, to the site Directors and also my best friends - Anthony Dickens, Damien McFerran and Darren Calvert. Their impact on my life can’t be underestimated, as they’ve always seen the best side of me and embraced it. They’ve supported and encouraged me, backing my work and making it incredibly fun and rewarding. They’ve been, and will continue to be, close friends - I owe them so much. Braving the British winter to play Switch for the first time. Second a little public thanks for my family, who didn’t even blink when I told them I was leaving a good job to go back to university, nor when I told them I’d write about Nintendo for a living. They’ve always supported me no matter what I do, and that means more than they know. Finally I want to thank the Nintendo Life community. All the contributors and readers, all of you that read our articles and those that leave comments. I’ve had some great times hosting live blogs, in particular, where the chat has had me in stitches. We’ll always have the infamous 'VGX awards' live blog, the closest I ever came to a public meltdown; I have a lot of special, weird, bizarre and funny moments to take with me. So, thank you. Keep being awesome, keep being nice to each other, keep playing video games, and keep living the Nintendo Life. Farewell and all the best, Thomas! NOOOOOOOO! Actually gutted but good luck to you man, thanks for everything. We've already spoken personally, but I'd like to publicly express that it's been an absolute pleasure working with you over the past three years, including helping me in generating content for my wacky ideas. All the very best for the exciting opportunity ahead! Thanks for everything, Tom. I don't think you could have done more for the site. All the best for the future. Oh wow. Good luck at CIRCLE/Flyhigh Works. They've been releasing some really good stuff so that sounds like an awesome opportunity. Congrats on the new gig! You and all your wonderful editorials will be missed. Cool to learn you are working for the the team that brought us Kamiko, an early Switch eShop gem. Good luck! Fare thee well. Thanks for the fun times. Thanks Tom! Good luck with future endeavors! Good luck with your cool new job! And be sure to drop by and post on NL once in a while. All the best, you're a quality writer with a good understanding of the industry. Your voice will be missed. It's hard seeing you go mate, you've been an inspiration to me personally and I hope to be able to achieve the same level of commitment that you've shown on the site all these years. Good luck Tom, your high quality writing will be missed! It was a blast, Thomas. It's a shame you're leaving, but sounds like your new opportunity is pretty amazing. Congrats, and best of luck to you! Best wishes on your new endeavor Thomas. You will be greatly missed here. Thank you for your contributions to my "go to" Nintendo news website. Oh nooo! Going to miss you during the hilarious live blogs of the Directs! Good luck and take care. You were a big part of the huge amount of enjoyment that I've gotten from this site over the years, Tom. Thanks for all the work you've put in here and all the best to you in the future, friend. Aww man, say it isn't so?! We go all the way back to playing Goldeneye Wii together and you will be surely missed by this guy! Whatever you do in life I wish you massive success and a great life! I'll still follow you on Twitter so don't be a stranger. Get on, Tom! Good luck in your new role and thanks for all the hard work you've done over the years here! Congratulations on the new job. I'm going to hate to see you go, but glad you're leaving of your on volition. I wish you the best. Yes! The SJW is gone. Now we can get back to gaming again. Thanks a lot ! NLife is my favourite videogames website. Good luck for your new adventure ! He has been a great editor. Best of luck with your future endeavours. @ThomasBW84 Goodbye Thomas. Best of luck in the future, you did outstanding work on this site. I think you did the majority of the articles on the site. And finally, thank you! Edit: "I’ve written nearly 10,500 articles over the years (news, reviews, features etc)". That is some prolific record. Your replacement has impossibly large boots to fill. @ThomasBW84 All the best to you, Thomas. I've read many an interesting and/or entertaining article coming from your hands, and the few times we've met in the comments section were also always a positive experience, regardless of whether we agreed or not, which to me is a sign of you being of a certain caliber that denotes you being a good and decent human being, with a well above average level of intelligence. I hope you find what you're looking or hoping for, and that it brings you a boatload of new, positive experiences. Life is all too short already, so you better grab onto anything nice that comes your way, and try to enjoy it to its fullest, which I'm pretty sure you will. Having said all that, your replacement man better be a damn good one, because you WILL be missed. Good luck as a product manager! You will be missed. I've loved reading NL for many years, and your stay as the site editor will not be forgotten. Thanks and good luck to you sir! Congratulations on finding a new horizon, Thomas! Farewell, good luck, and I truly wish you the very best moving forward ...You will be solely missed! You're a fantastic writer and editor, and I have always enjoyed your work for all the years I've been on here. Carry on, soldier! Good luck Tom. The Nintendo Life writers have developed that same affinity we used to love from the Nintendo magazines. Long may it continue with Nintendo Life, Switch Player and Nintendo Force at the forefront. Wow this is a great opportunity! Good luck! Farewell Thomas! Good luck and congratulations! @AlexOlney Thomas is sad enough! Don't dare leave us for the next 40 years! This is pretty sad, but best luck on all your future endeavors! Congrats on the new gig, man! Hope you'll visit the forums and comments sections once in a while! Enjoyed chatting with you in the livestreams from time to time! You really felt approachable and made Nintendo Life feel a bit less like a website and more just a cool place to hang out. Thanks for your contributions, and good luck with your future endeavours. Good luck and thank you for everything! Wonderful site you have here, it's always been a dream of my own to have my work published on NL, and with a degree in Creative & Professional Writing it seems like we come from a similar ish background:) CIRCLE don't know how lucky they are! Goodbye Thomas! We'll miss your much-needed common sense on this site. What? No! Man, sad that you are leaving, but really happy you got this great opportunity. Congratulations and thanks for everything! We will miss you, Tom!! Thanks for all you’ve helped me with over the years. I won’t forget it. Best of luck on your new adventure! It's going to be weird not seeing that Mii everytime there is a stream. It's just not a NL stream without it. Good luck and have a great time at your new gig! I can't believe it, so much I'm in tears now. I wish you the best for your new job, I'll miss you a lot but, hey, nothing lasts forever. I think that, despite being videogames related articles, you are the main responsible for my improvements in reading and writing in English (I'm from Italy...), so thank you so much for that, too. You've been like a friend to me, one of those you happen to call every day, you know, taking my time to read your articles every day for years. I joined the NintendoLife community in 2013 when I bought a Wii U. I wasn't really sure what games to pick up besides Super Mario World 3D which won me over. I stumbled upon this site and have been here ever since. I've probably read a good 80% of your stuff! Thanks for the great content and best of luck in the future. Congrats on the new job. You'll be missed around here. @ThomasBW84 I kinda wish you'd stick with us for a bit longer, but thank you for your contributions to this lovely website. Best of luck with your future and endeavours. Best wishes to you! You helped make this a wonderful site and know that you'll make similar contributions wherever you land. Good luck! The biggest reason this became my go to Nintendo site was I enjoyed your editorials. As you mentioned, it seems videos are replacing written pieces. Personally, I’d much rather read a review/editorial at my own pace rather than watch a video at someone else’s pace. Very few Nintendo sites even bother with written editorials any longer so I hope your successor will continue. Thanks again for all your thought provoking content over the years! Farewell and good luck on your future endeavors Mr.Whitehead! Always enjoyed your work, you will be missed but that's a cool role you've landed! Hope you enjoy it! Had the pleasure of meeting you a couple of times, good luck for the future! The best and most balanced writer here. Thank you so much Thomas, you have done incredible work on this site and I wish you luck on your next adventure! Good Bye Thomas, you were and are the best. I wish you success. You were a part of my everyday routine for the last 5 years. I wake up and click on this site. Sometimes I would not even post, but I always came here. You are like a friend even though we never met. I enjoyed most of your articles and agreed with you most of the time. You will be missed. Farewell . Well done on the job! But im absolutely gutted gonna miss your articles loads, but best of luck! All the best Tom, thanks for everything. Oh my; after Jose Otero leaving IGN, this is the second horrible Nintendo gaming journalism departure of 2017. All the best to you, Tom, and thank you for all your hard work. It was enjoyable reading your stuff. You led us through some tough times Mr. Whitehead, via the Wii U era. Your writing was always top notch, a rarity on the internet these days, with a lot of articles being dubbed down and lacking an overall focus. NintendoLife articles were usually written by someone who could write well, so thank you for that contribution. I'm sad to see you go, but I understand that we as humans strive for new adventures and applaud your courage to embrace a change in your life. Cheers to you, and best of luck! Sad to hear you go, Thomas, but best of luck to you. Don’t be a stranger to NintendoLife, though! @ThomasBW84 You will be truly missed, your articles were my favourites due to your lovely writing style! Of course I wish you the best of luck for your new adventure, may you inspire and entertain people equally in your new job as you did at NL. Thank you for your contribution through all those years! Oh nooo! And also, massive congratulations, and the absolute best of luck at CIRCLE. But oh nooo too! You've probably been the Nintendo writer whose work I've most treasured in recent memory. Your calm, composed, and well considered editorials have been an oasis of sanity and reflection in an often very silly world of video game hyperbole, and I've always enjoyed the live blogs at stupid hours of the morning with your sleep-deprived self at the helm. Hopefully you'll still have an outlet for your voice after you shift jobs. If anything, I think it's all the more important that your initial reluctancy to write gave way to your role as editor. Otherwise such positions would likely go to someone brasher and less thoughtful. Keep being Tom, and stay fresh! In any case, Tom was always solid and always a good fair read. You'll be missed 'round here mister. Good Luck Tom! You are most certainly the glue that held this site together. Thank you for the work you've done! Thanks for everything, and best of luck for the future!! Good luck with new job. See you around! And, by the way, what is the "infamous VGX awards" live blog you mentioned? Best of luck Tom and thanks for the wonderful articles! Good luck Thomas, I've loved your reviews and features over the years! Aww man, you got me in tears over here 😢. We will miss you Thomas. Good luck at your new job. We'll be rooting for you. Thanks for all the hard work and fun times. Good luck with your new work, Thomas! I like to wish you all the best at what you'll be doing. One of my favorite people writing here. Best of luck on your future endeavors! Best of luck, Mate😀 Keep up the wonderfull work !!! Man this is sad! But I wish u the best of things in the world and I hope this new job gives you lots of amazing experiences. I’ve really enjoyed your articles. I wish you the best of luck in your new endeavor. Thank you for all the hard work you've done of the years! Best wishes and farewell, Thomas! @ThomasBW84 - Sad to hear it. Well I haven't been around here as much as of late but I suppose that happens when one doesn't have the current console and is trying to avoid spoilers in the forums. Best of luck in your new endeavors! I appreciate your hard work, @ThomasBW84. Seeing someone go is always hard. You get used to people as if they're family, then a change comes. Here's to you and a successful future at CIRCLE Entertainment / Flyhigh Works. Good luck and congrats! Giving up NL for Circle ⃝? You nuts? At least go for the Square ⃞ and push. Thanks for all the great writing. Sorry to see you go. Best wishes for your future! Congratulations and good luck! You most certainly will be missed here. They were good times, @ThomasBW84. I was there when the hands changed from James to you, and I must say that you definitely did not burn down the place. Nintendo Life remains my go-to place for Nintendo news and reviews. Well done, and congrats on your new job at CIRCLE. Blimey, end of an era. Another one, indeed - doesn't feel long ago that James was saying farewell. Best of luck at CIRCLE! Will miss reading your great articles and reviews, Thomas! You are fortunate to have played an important role in the greatest Nintendo site on the Internet. Best of luck to you! @ThomasBW84 it was tough waking up and finding this out, I’m so sad! But of course I hope you’ll be happy with your new job, good luck! Farewell Mr. Whitehead, you’ll be fondly remembered and greatly missed. Congratulations Tom and Merry Christmas! I'm so happy for you Tom, that sounds like a great career move! @ThomasBW84 You are one of the only journalists that I remember and love reading about. Good luck at Circle / Flyhigh! Please continue to support the Nintendo Life by commenting occasionally! You've done a man's job sir. Merry Christmas and have a prosperous new year. Best of luck, Thomas! Thanks for all the amazing pieces! You've done a great job and a heck of amount of work on the site, and you've really been part of the community in addition to editor. Shame to see you go. Our next victim won't be as fun! I've always found your articles very interesting, giving me plenty to read on the commute to and from work. Good luck in your new role. Cheers to you and all the great articles you’ve put out. I wish you the best for everything that is to come! Sorry to see you go, Thomas. Good luck on your journey going forward. Congratulations on your new job! You will be missed. Wow. A job with Circle... so many people go on to work with video game publishers/developers. Will we see little hidden faces on the site like IGN did for Jose Otero when he left to take a job at Nintendo of America Treehouse? Farewell, you(everyone) have done a job here and wish you all the best. Now, where can I send a resume? @ThomasBW84 Well, first of all I'd like to say congratulations man, really chuffed for you landing this new role. I wish you all the success for your future. Also congratulations to Circle /Flyhighworks, they've landed a really top bloke who will no doubt help them achieve great things. I would be lying if I said this didn't make me sad to read this though. I've been coming here since the very start and signed up as a member a couple of years later. Without doubt the best years were under you. Love your style of writing and I could tell if an article was written by you after a few lines. Your dedication to the site was always appreciated. We've had some good laughs in the many live chats too. Sonic rave comes to mind. Once again, best of luck to you Thomas. Onwards and upwards. Oh man thats crazy. I always looked forward to reading a new article Mr. Tom Whitehead. Sorry to see ya go, but Thank You so much for the many great articles and great reads and recommendations. Great times for sure. Best wishes on your next endeavor and congratulations! Good luck Tom and thank you for everything you've done for this tremendous site. I particularly enjoyed experiencing many Nintendo Directs with you (as host) here on NL. Good luck, man. Make some money for us. Congrats!! I will miss reading what you write about Nintendo. We’ll be here if you need us! 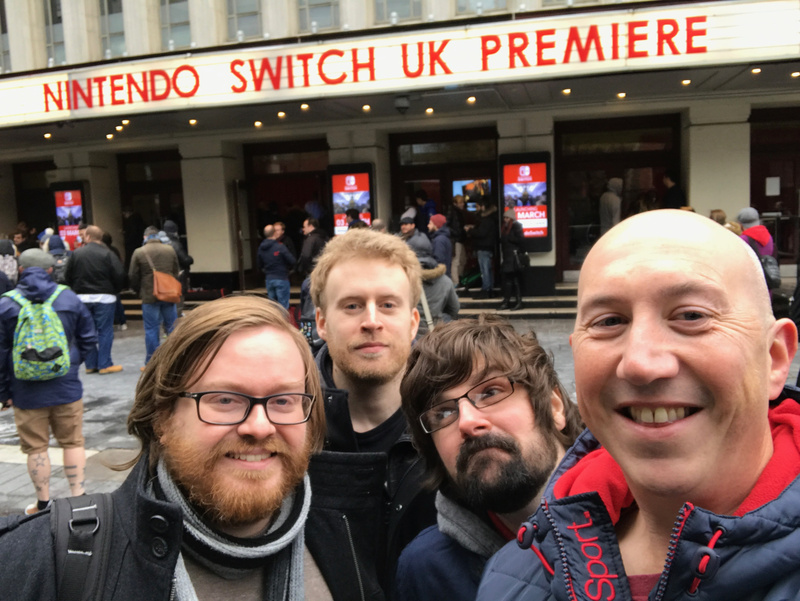 Best of luck Tom, and thanks for building NintendoLife the past few years. I came to this site years ago after posting counterarguments to negative criticism of the Wii U over on the Motley Fool. I was pointed this way by a user of whose name I can't even remember and have been hooked ever since. Your articles and those of the team have been great, objective, but yet optimistic and sharing the same love of (Nintendo) gaming that the site's community has. Things have changed a lot over the years and I have loved the content being added by Damien, Alex and the reset of the very talented NintendoLife staff. It can be a challenge taking on a new career path especially when things get comfortable. Again I wish you luck and know you will do good things. Write back in the comments here from time to time. We'll miss you Thomas! Thanks for the dedication and detail you put into your work! It seems I started an account when you started writing. Coincidence? I think not! Thomas, I enjoyed reading your articles over the years, so thanks for that and I wish you good luck with your future endeavors! Thank you Thomas and good luck! I hope you return to NL some day in the future. Wish you all the best Tom! Thanks for all your hard work! Aw, good luck to you! Wish you the bestest of bestests. Jesus Holy Christ, the headline gave me a heart attack. I could only bear one Iwata for decade. But sure, if it's a different career path, all I could say is that you have my best wishes for everything. Keep up the good work, man! You rock! Whoa, this was sudden...But thanks for all the articles, Thomas, and have a great time at your new job! Gonna miss you! Good luck and congratulations. Thank you for your service running this site, the only gaming site I chose to read daily. I hope your successor keeps the quality and standards you have. All the best man. Farewell and good luck on your next project! All the best, we’ll done on the new role! Piss off Thomas! We never liked you anyway. Great work we will miss you! We're gonna miss this humble scribe! Good luck. Read many of your articles over the years and bookmarked Nintendo life for a reason! Thank you Thomas for your work on this site! You were by far my favorite editor and I wish you the best of luck in life. Good luck at your new job. We'll miss you! I could copy and paste most of the comments. I'll miss your point of view. Best of luck. As reviews go, reads like an ‘8’! @ThomasBW84: Thank you, thank you, and THANK YOU for your contributions to NL over the years. Many of your articles were interesting and entertaining reads! It's a shame to see you go, but at the same time it's also exciting to learn about your unique opportunity with CIRCLE/Flyhigh. I hope you have as many fun and unique experiences there like those you've had with NL. Congratulations and good luck from the American Midwest! Thanks for the great writing, Tom. We enjoyed your work and approachable demeanor. Tear it up at Circle. Thanks and all the best for the future, always enjoyed the live chats with you during live Nintendo events! Good luck Thomas, it has been a pleasure to read your content! Thank you for all your hard work, your articles, and the live chats. And best of luck to you at CIRCLE/Flyhigh Works, they're really blowing up! It must be exciting! Always enjoyed the articles, Thomas. Best wishes at your new job. You did good, man. Good luck at your new job! You will be remembered. I was sad when James left. Now, years later, I'm sad that you're leaving. You've done a great job here, and I'm sure you will be amazing at your new job! This has gotta be my favorite gaming site these days. Great community, great articles, great coverage. Well done, thanks for the good times! You will be missed! There was a time where I almost thought you wrote 100% of the articles here! lol. I wish you the best. This was quite sudden... anyway, I'm really happy that you have such a great opportunity. You deserve it, you are a talented guy and also a great person Thomas. You'll be missed here. Thanks for the articles and all your work at NintendoLife, Thomas! Your work nearly always got a thumbs up with me! Best of luck, and take care! We'll be here if you ever need us! Like many, I remember feeling gutted when James left. It's deja vu all over again. Best of luck, to you, Thomas. Keep calm and carry on. I've no doubt you will do well. Thank you for your hard work and good luck! Also... I don't know if you just add random people on your LinkedIn when you have spare time but it felt special to receive a friend request from you couple of years ago. @ThomasBW84 I remember when then edition James Newton left and I felt that no one would be able to replace him and the site was going to change drastically. I thought no one would be able to fill his shoes. Not only did you fill them Thomas but a better man couldn't have been choosen. I still remember one of your vary few posts here on NL it was in the multiplayer meet up thread for GoldenEye for the Wii and honestly it doesn't feel like it was that long ago. I wish you luck at your new job and hope you don't stay a stranger here and drop by here when you can. May your future be filled with smiles and laughter. You'll be missed. I wish you all the best. Thanks for all your hard work and your part in making NintendoLife the first website I open up every morning. "I’ve had some great times hosting live blogs, in particular, where the chat has had me in stitches." Me too my man, many hilarious moments on the NL live blogs. Love this community! Good luck i nyour future endevours. you created some great articles and im sure you will be missed. @ThomasBW84 All the best, you will be missed. Thanks for your hard work, it has been much appreciated. Thomas, that time Nintendo's online service went down on the Wii Us first Christmas. And there you were, Christmas day, writing an article about it. I thanked you on Miiverse for it at the time. Your dedication to the job won't be forgotten! @ThomasBW84 Congratulations on the job at Circle. I've loved reading your articles over the last 6 years, and you will be missed. Good luck, Thomas! This scribe will be missed! I've browsed this site for almost two years now, and do hate to see you leave. I wish you the best of luck. Good luck in your new job Thomas, and thank you for all you've done for this site. Thank you Thomas, this is the first Nintendo site I visit each day. Good luck Tom. I always enjoyed your articles. I've been a lurker for years. Maybe see you out on the Hunt some time ( MH). That's a big loss, it feels like we have all grown up together in this here community. And your contributions will be missed surely! Congrats on an awesome 7 years Mr. Whitehead! We'll miss your articles around here, but with your new job still being in videogames, I hope you drop by and share news with us. Nah, just joking! I have thoroughly enjoyed your articles since first venturing onto Nintendolife years ago. THANK YOU! I start most of my days reading what you wrote, I'll surely miss that. Good luck at your new career. Good luck Thomas, and thank you for all your work on the site. I'll miss the reviews and the live streams from the showcases etc, they were always a pleasure. I came here when the UK 'Official Nintendo Magazine' and website closed, and found it a fine place. It treads the line right in my opinion - the enthusiasm of a fan but also critical when needed, and I always enjoyed the opinion pieces. Thank you for all you put in. On the subject of your replacement... it's not @SLIGEACH_EIRE is it? No more long reviews yay! Lol I'm kidding. What a heavy blow to the site. Tom was a real cornerstone. The talking points, Ntdo financial analysis, just wont ever be the same without Tom’s pen. I don’t agree with everything on this site but nearly always agreed with Tom’s contribution at least. Three cheers to the man, hip hip hooray. Thanks for the years and the best of luck in future endeavours. Thank you for making this such an enjoyable site to visit. Your articles were always informative but entertaining. Happy trails! Nnnnnnnnnnnnnoooooooooooo Thomaaasss! I'm happy for you, man, but it's sad to see you go. You're a great writer, which is rare for smaller sites like this one. Not to knock on the other writers, but your talents will be missed here, at least by me. Nevertheless, congratulations, and good luck! Good luck with your future and take it easy, sir! I’m gonna miss your writing, here in NL. But rock on! All the best to you, Thomas. Thank you. Good luck, Thomas, and thank you for everything you've done for me and everyone here! I just joined this site today, so I don't know Mr. Whitehead, but I wish him all the best! Best wishes to you, Thomas! For a long time now, your editorials have consistently been some of my favorite reading. All the best Thomas. Has been an absolute pleasure reading all your previews/reviews and coverage of major Nintendo announcements. Sounds like you are going on to bigger and better things which is well deserved as you have always come across as being very professional and a nice bloke. All the best to you. I've greatly enjoyed reading your work over the years. Your humor, humility, and spirit will be missed. 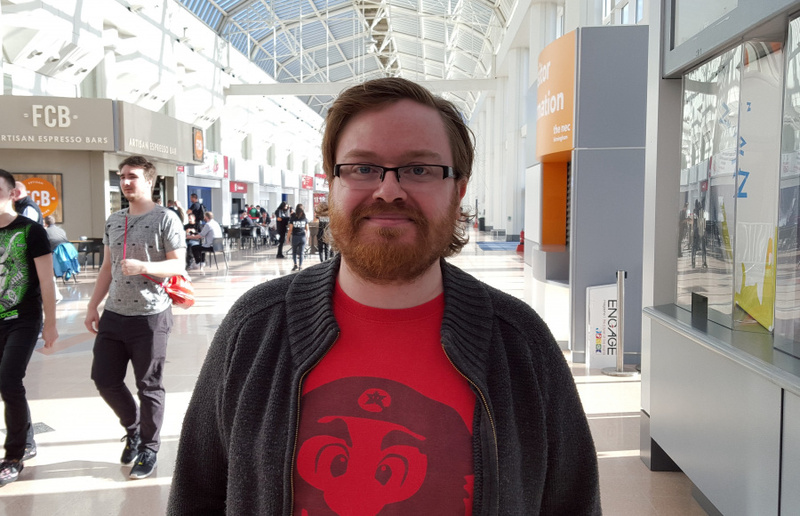 I've been visiting the site less over the years ever since James left, but I will say that Tom has been a great editor and one of the best personalities on Nintendo Life. Whenever there is a live blog, I can always count on Thomas to be there and offer the best and often humorous commentary. The recent Game Awards blog was entertaining already, but he made that much more so. While I do not read his articles very often, he has certainly shaped the direction of the site for years and has fostered an ever growing community of fans who read his pieces with delight. Thanks for helping making what this site is today and good luck in your future endeavors. Thanks for everything man, good luck! Just wanted to pop on and say thank you to everyone for the lovely messages. It's sure been humbling and I've appreciated all of the kind words. And yes, I'll be lurking and occasionally posting comments in 2018 and beyond! Hey, just wanted to say thank you for all the articles over the years. I've been reading your articles since the Wii U came out, so it's pretty hard to imagine this site without you. Good luck in all your future endeavors! I still consider myself rather new to the NL community after only a few months on the site, but thank you for making this a site that has become as daily for me as Facebook or YouTube into such a lovely experience. Good luck at your new job! Best of luck, Thomas. I always looked forward to reading your articles during my weekend lunches. You will be missed! @Meowpheel cool icon, reflect how we feel. Hope Tom does well and goes full circle. WAHHHH! Hope Thomas does well, though. Farewell Thomas! Thanks for all the awesome articles and reviews, and enjoy your new role! Thomas, congratulations on your new job! You have all my best wishes on your new path, but I must say, you will be greatly missed here. Your presence in the live blogs was always great, and your articles are great, and one of the things that made me register as a member here in NLife! Hope we still see you around in the future! Wait what? That’s...unexpected. Farewell then, NL was always my number one gaming news site, and I don’t see it changes anytime soon. Whenever I saw your friendly Mii face followed by your name, a small smile formed on my face knowing a quality article penned by a quality person is waiting below. Thank you and goodbye. I’ll miss your long, well written reviews. By far the best writer on the site. Tom will be sorely missed! Sad to see him go but wish him the best in the future. I don't normally comment but I just wanted to thank you for the good work on this site, and wish you good luck with your future job. Farewell Tom, and good luck. You will be missed and your successor will have some big shoes to fill! You'll be missed on the site! But it can only lead to better things! So, good luck! Figured I ought to come out of comment retirement to at least say happy trails!! You have done great work here over the years and I still visit the site on the regular, just ditched the commentariat. Best of luck. Thomas, thank you to your huge contribution to the site. You've helped make Nintendo Life my nightly web stop before bed for the past several years. I wish you all the best in your new career. Thanks for being one of the few good men of video game journalism, Tom. Even when I disagreed with your opinion I always respected the conviction with which you held it. Sure your new employers will highly prize your integrity. Thank you so much for all that you’ve done here on the site, and for the gaming community in general. Of all those that write on here (many amazing, talented people!) you are my favorite. I speak for many others when I say that you have helped rekindle love for Nintendo in a lot of people, and for that we are greatful. Good luck with whatever comes your way, and don’t be a stranger. Good luck on your new career, Thomas! I may not post often, but I read the site everyday. I'm grateful for your work on my go-to Nintendo site, and for that, thank you sincerely. I can't believe nintendolife would hire a white supremacist. Like many people here, I've really enjoyed your articles over the years Tom. Often when reading an article I would think 'this is really well written' - only to look up and see your name. Sorry to see you go as a fan of your work, but hope you enjoy the new challenges and opportunities ahead! Gah! @ThomasBW84 You’re one of the main reasons that i’ve visited this site every day for 7 years. Since you’ve taken over as editor, i’ve always trusted and respected your reviews and optimism for everything Nintendo. You will be severely missed. Wow, what a surprise. Good on you Tom. Thanks for the informed reviews and insightful editorials over the years. It's sad to see you go but great to see you'll still be working in the industry. Best of luck on your future endeavours. Best of luck and thanks for the great articles and opinions. It will be sad to see you go, Thomas! But thank you for everything you've done to make this site what it is, and I don't think I'm speaking out of turn to say that the community will miss you, but wishes you all the best! Go be as awesome in your new role as you were in this one! And don't lose the geeky passion that made this all what it was for you in the first place! Fare thee well, and if forever, still forever; fare thee well. This is the only online destination I choose for Nintendo news, humor, and discussion with fans and it's in large part to, @ThomasBW84 . Thanks for all the dedication, and I hope circumstance continues to reward you for following your passions. Godspeed. I’ve been reading/lurking around here a loooooong time. Thomas always had fascinating thinkpieces and opinions, and his live stream comments were hilarious. Thanks for all the amazing work! As seen from the massive amount of well wishes, the community will miss all of it. You’re a gentleman and a scholar, sir. Good luck in the future! Congratulations about your new job. You sound competent here, I wish you good luck and an happy new year full of happyness. Thomas, it’s always been a pleasure reading your articles. I really don’t comment here very often, but Nintendo Life has consistently had really well-written, thoughtful Nintendo content ever since I’ve been visiting (4 years now), due in no small part to your contributions. Best of luck at your new job! Circle and Thomas, two great things that will go even better together. Don't be a stranger around these parts! Wishing you all the best, Tom. Congratulations! Best of luck, going to miss you Tom! Good luck in your new job Tom, I'll miss you. You da man. Best wishes for your future. Will miss you for sure.